Oliver Contreras-Pool/Getty ImagesWhite House national security adviser John Bolton said he has not listened to the audio of Jamal Khashoggi’s killing. White House national security adviser John Bolton on Tuesday said he hasn’t listened to the audio of the killing of Saudi journalist Jamal Khashoggi because he does not speak Arabic. Bolton said people who speak Arabic have listened to the tape and given White House advisers the “substance” of what is in it. 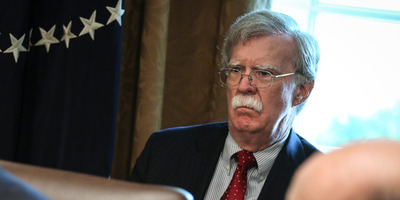 Reporters continued to pressure Bolton on the subject and said he, as the national security adviser to the White House, is arguably obliged to review materials linked to a case that’s become intrinsically linked to US foreign policy. Khashoggi, who was a US resident and wrote columns for The Washington Post, was killed in the Saudi consulate in Istanbul on October 2. The Trump administration’s response to Khashoggi’s killing has become a subject of great controversy, particularly after the president issued a forceful defence of the kingdom last Tuesday. President Donald Trump mentioned in his statement that the US-Saudi relationship has secured $US450 billion in economic benefits, a number which critics said was embellished. Saudi Crown Prince Mohammed bin Salman, the de facto ruler of the kingdom, is widely suspected of orchestrating the killing. Khashoggi had often been critical of the prince and the royal family in his writing. Trump has been reluctant to pin the killing on Salman, despite reports the CIA has concluded with “high confidence” the Saudi leader ordered the hit.